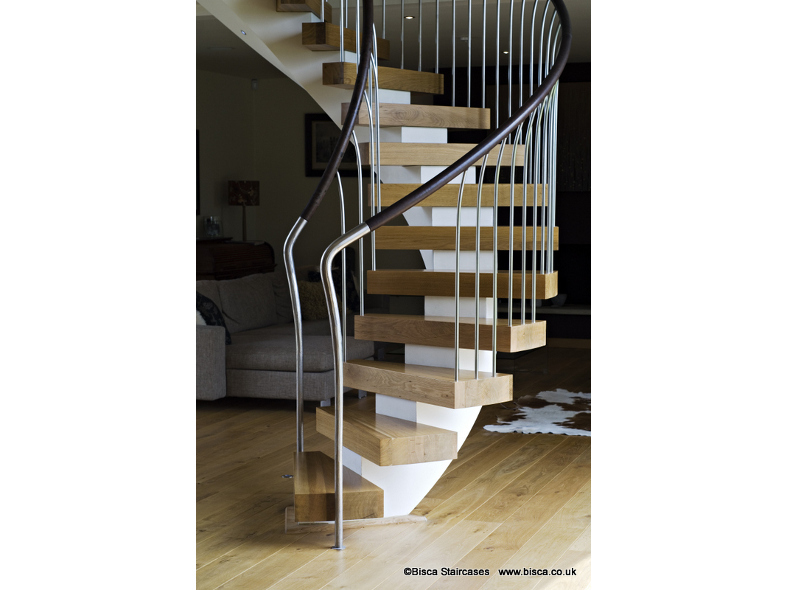 A bespoke helical stair design, creating an outstanding feature in the ground floor living space. 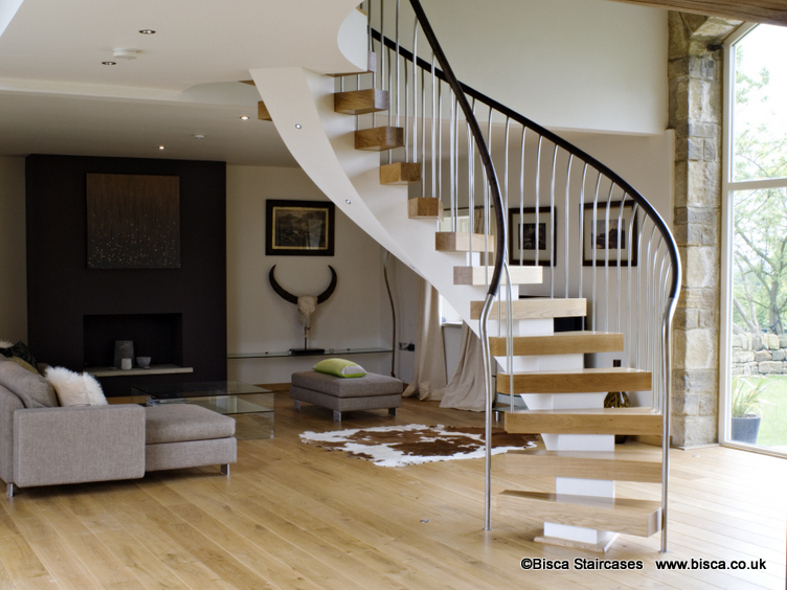 Oak treads are supported by a single striking white plastered soffit. The balustrade is of satin finished stainless steel uprights rising from the tread surfaces with a matching stainless steel handrail. 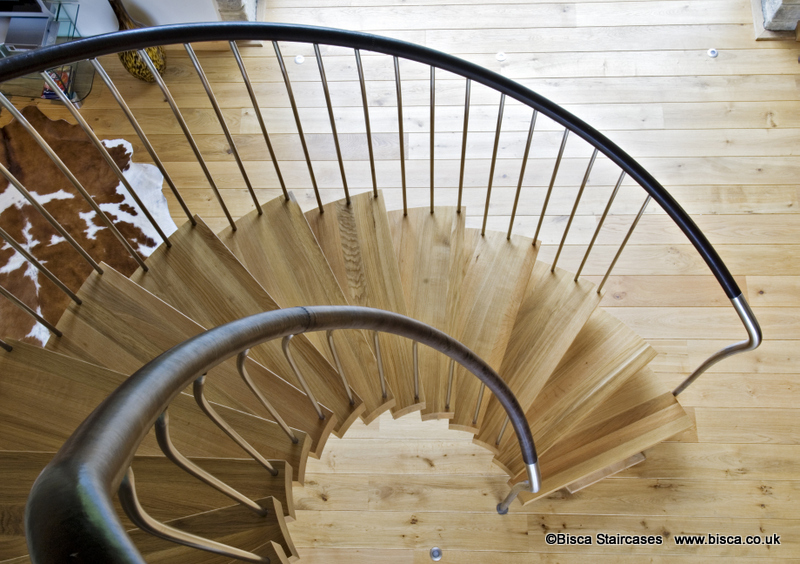 The uprights themselves curve gently outwards to meet the handrails, making the most of useable stair width. 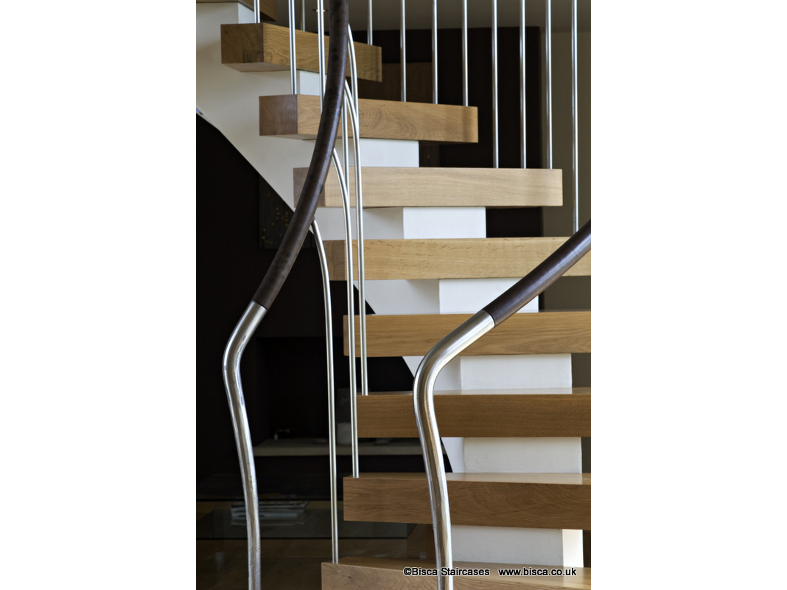 The handrails are leather clad and finished using satin finished stainless steel bezels where they meet the floor and walls. 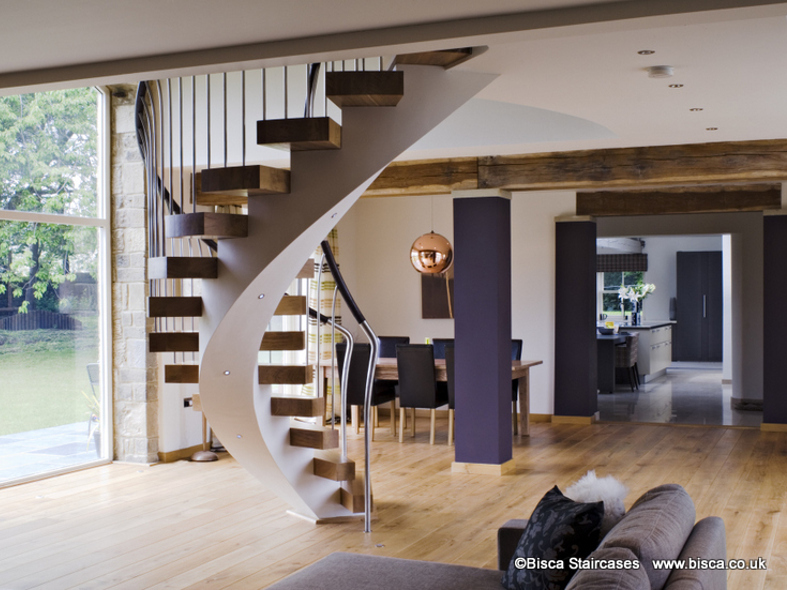 This staircase has been featured in many magazine articles, house features and played a cameo role in a recent TV advert.